Victor Shlyakhtenko, Kate Lee, and Kevin Miura performed with the South Coast Symphony on January 25. 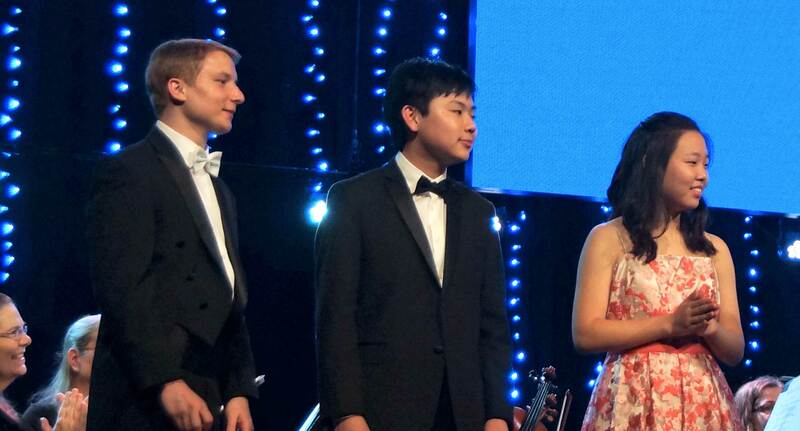 Jia-Ying Wei, a Music Academy violinist, won second place and $6,500 in the senior division at the Second Shu-Te Sylvia Lee Violin Competition. Community School pianist and conducting student Victor Shlyakhtenko led the South Coast Symphony in their performance of Tchaikovsky’s Romeo and Juliet. Connor Rowe, a Conservatory trombonist, won the Grand Prize in the Pasadena Showcase House Instrumental Competition, and was awarded $6,000. Music Academy violinist Kevin Miura performed Tchaikovsky’s Violin Concerto with the South Coast Symphony. 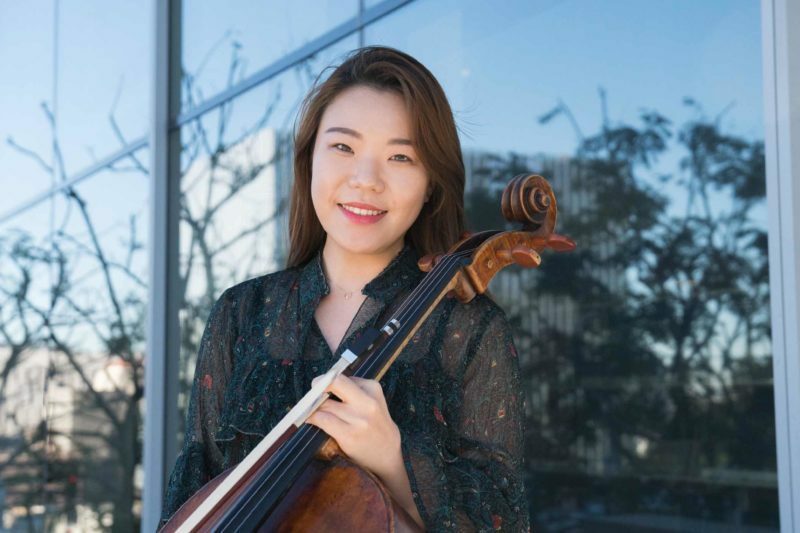 Conservatory cellist Dong Nyouk Sunrise Kim won second prize and $2,500 in the strings division of the Pasadena Showcase House Instrumental Competition. 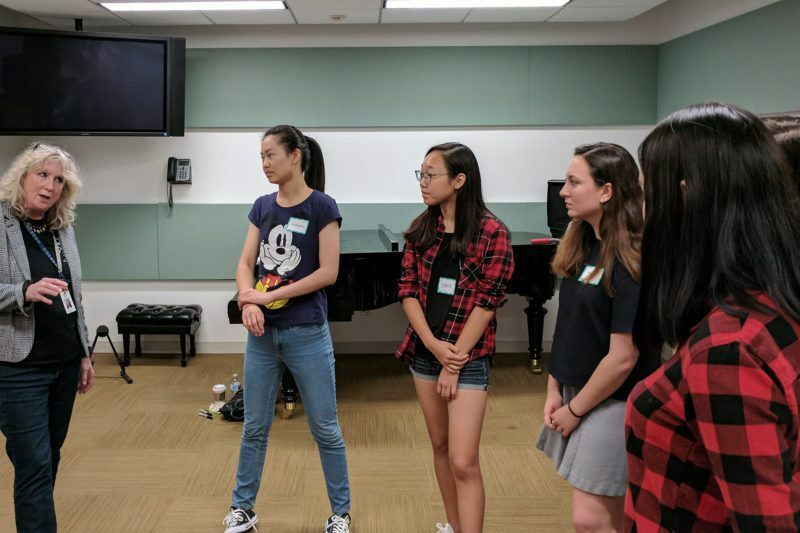 2018 Performance Studies Certificate violinist Blake Pouliot’s debut album with pianist Hsin-I Hua was nominated for Classical Album of the Year at the 2019 JUNO awards. Kate Lee, a Community School violinist, performed with the South Coast Symphony. Taylor Marino, a 2017 Master of Music recipient, joined the Charlotte Symphony as Principal Clarinet.